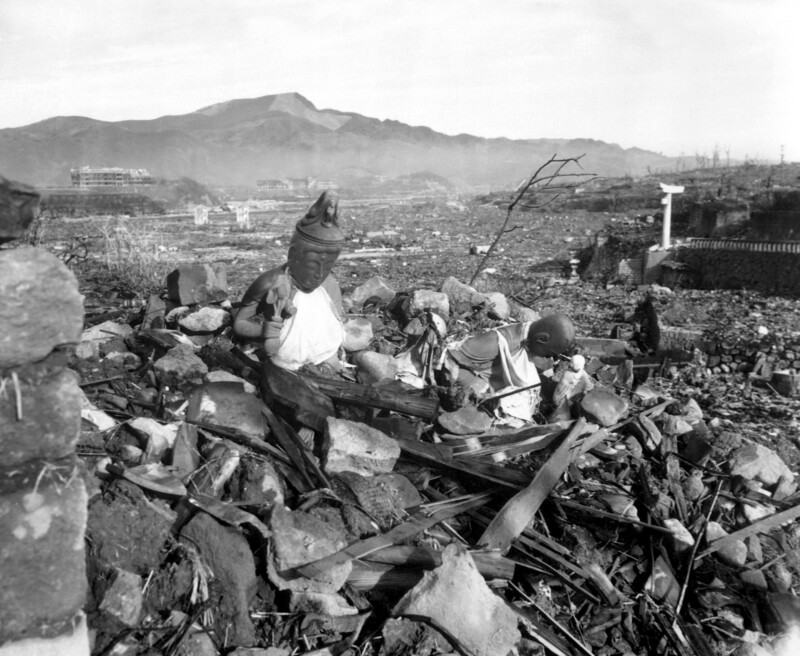 On this day seventy years ago, the United States dropped an atomic bomb on the Japanese city of Nagasaki, killing about 80,000 people, most of which being innocent civilians. Most of the deaths occurred on the first day of the bombing, with tens of thousands dying over the next few months from burns, radiation sickness, injuries, illness, and malnutrition. It was a very sad day, and sadly, there is still lots of killing on the earth. It appears that people around there enjoy killing, yes, some even as sport. It is not a good thing for a person to do, but it appears that the biggest promoters of killing are the various states, the United States, the Islamic State, Saudi Arabia, Israel, and so on. People become heroes in the countries by fighting for their various causes, but in the eyes of the Lord of All Beings, they are not Hero’s, but killers. The result of the action, the Karma, is that their chances of being killed or maimed are greatly heightened. If they are killed in the action, they will miss the opportunity to repent and change their ways, and it sets up an unfortunate situation for their next life upon the earth. The Rule says that causing suffering to others brings it upon the perpetrator. In the Holy Religion, one becomes a Hero through non-violence, promoting peace and companionship among all the people of the earth. Such is the rule if one is interested in experiencing the Heavenly State. Here are words from the Veda, from the Holy Family for Their Family on Earth. Go and gain for another to honor the Universal and you, the I, have the authority and especially the power to become a Master and offer respectfully, and to promote, to go towards with happiness helps.